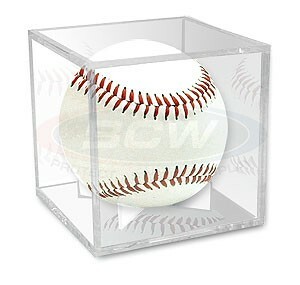 Clear plastic cube display case holder for a baseball, brand new. Baseball not included. NON-RETURNABLE. NOTE: one free cube is included with each autographed baseball purchased from AutographsForSale.com.